Some days I wake up and absolutely love that I get to blog on the side while living a very conservative corporate life. It also gives me a great excuse to kay-poh into the lives of brilliant young women pursuing their passions and creating their own careers. Today, I want to tell you about the lovely (and drop dead gorgeous) lady behind The Luxe Nomad – the private flash sale site that offers members up to 70% off the most beautiful and curated list of luxury resorts in Asia, including the likes of Sri Panwa in Phuket and The Upper House in Hong Kong. Never one to stick with tradition, Stephanie Chai managed to turn her hobby (traveling) into a full time job. This might have a little to do with the fact she’s always gone her own way when it comes to making life decisions. She took up modelling (much to her parents’ displeasure) at 18 when she was still in university – that led to years of frequent hopping about from country to country, never spending more than 2 months at a time in one place. That desire to experience new things, and be exposed to new cultures, traditions, and people, led her to create a life for herself that always involved those elements. First up, how did you first decide to start The Luxe Nomad? Funny story. A friend of mine owed me a business idea and sent me an email with the link about The Luxe Nomad business model and concept. 5 minutes later I emailed him back and said "I'll do it!". And then, I started researching! I knew nothing about the hotel industry, ecommerce and so forth - so talk about a crash course. But I'm glad I stuck to it. The company is very blessed to have a great, small team. The best bits are working with them, brainstorming ideas and of course, having a laugh or two. Work should always be fun! What's life like as an entrepreneur? And what do you do when you're not working? Being your own boss means being busier than ever! Most weeks I’m working 6 days out of 7, so I relish any down time I have. Back when I was modelling, I had a lot more time to myself. These days, you’re likely to find me unwinding in whatever little free time I have (and there’s not a lot of it), I try to squeeze in a bit of shopping, a foot massage, maybe a tennis lesson. I’m a huge fan of film, drama and politics – so as you can imagine the recent Malaysian elections was quite a hot topic among my friends. You travelled a lot for your previous job, how has that experience/exposure helped you build The Luxe Nomad? Quite honestly, one of the best decisions I ever made was to model. It put me in my parent's bad books for a few years (until I graduated and my dad was a happy man) but it gave me the opportunity to travel to most parts of Asia and live in these different countries. Why is that important? Because I learned to get on and work with people from all across the region, to better understand their culture and ways – this helps when it comes to negotiating and dealing with folks of different backgrounds. When it comes to business, a simple thing most people tend to overlook is this: people will only work with you if they like you! Your work continues to take you around the world – what are some of your favourite destinations and why? I still love Bali and Phuket for a short weekend away (especially if you live in Singapore or Kuala Lumpur - it's only an hour's flight for Phuket and 2 for Bali). 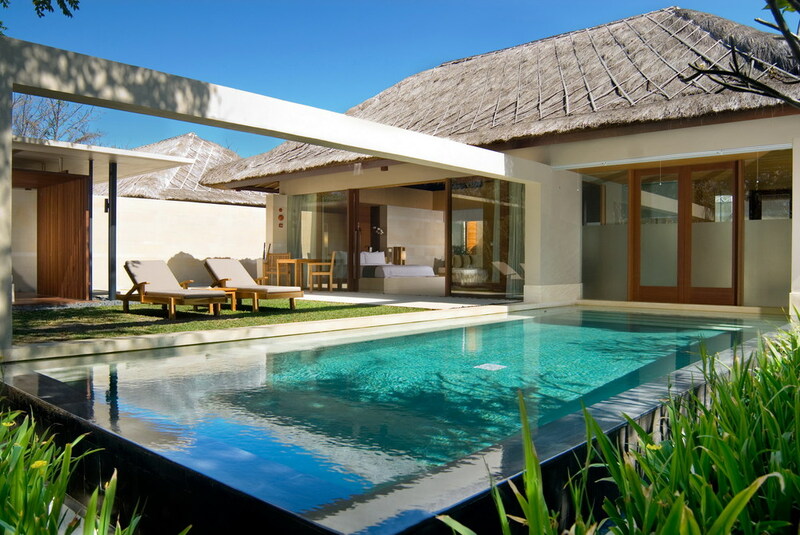 The Bale in Nusa Dua is one of my favourites at the moment – white-walled villas with your own private pool right on one of the most gorgeous beaches in Bali. Nusa Dua is also a very swimmable beach which is not that common for Bali where the waves tend to be very strong. Two of our celebrity bloggers and friends are staying at The Bale at the moment (Margaret Zhang of Harpers Bazaar Australia & Shinebythree and Camille Over The Rainbow), so you should definitely check out their instagram feeds if you want an inside look on the properties. The luxury hotels we feature love that we bring them something different from the usual flash sale site - it's members only, luxury hotel focused (so they can be sure they're always in good company and never have to worry about being on a platform with less stellar hospitality outfits), and they get endorsed by our network of celebrities (another plus from my modeling days). Other than that, Macakizi hotel in Mugla, Turkey is a hip hotel by the sea and if you're thinking of stopping by a city then The Upper House in Hong Kong is a must if you want to truly travel in style. Finally, what’s the most valuable lesson you’ve learned through starting up The Luxe Nomad? Images courtesy of Stephanie Chai and The Luxe Nomad.